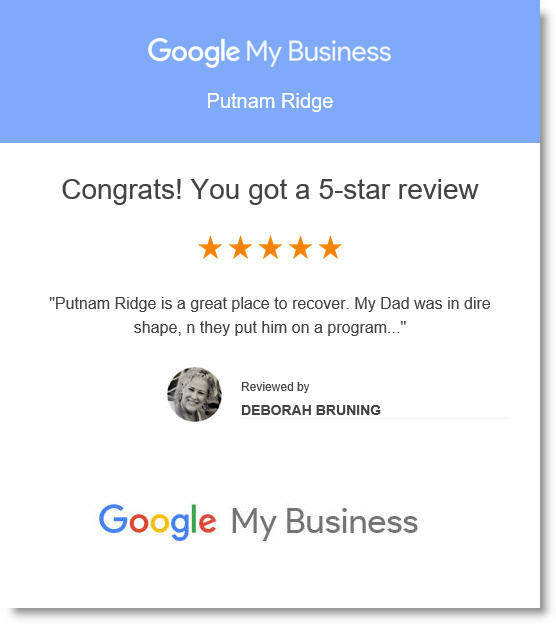 New 5-Star Google Review For Putnam Ridge! Just in last night – and yes, we are VERY proud!! Thank you Deborah for your beautiful review!